QuickBurst 4 piece EZ Small Canister sets sell for $12.00 each. New EZ Small Ejection charge canisters. Each EZ small canister is made from 1/16″ thick cardboard with a red covering. The EZ small canister is capable of holding up to 4 grams of ejection compound. They will come to you complete with ejection charge starters and ready to use, no assembly required. 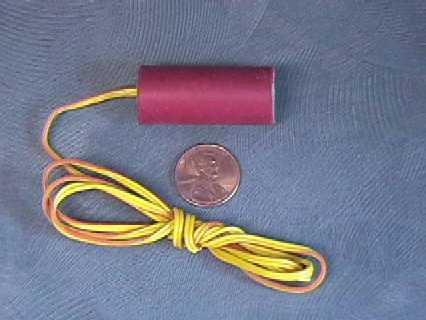 Add your ejection charge compound, fill the void with non flammable packing, seal with tape, shotgun shell style and fly.